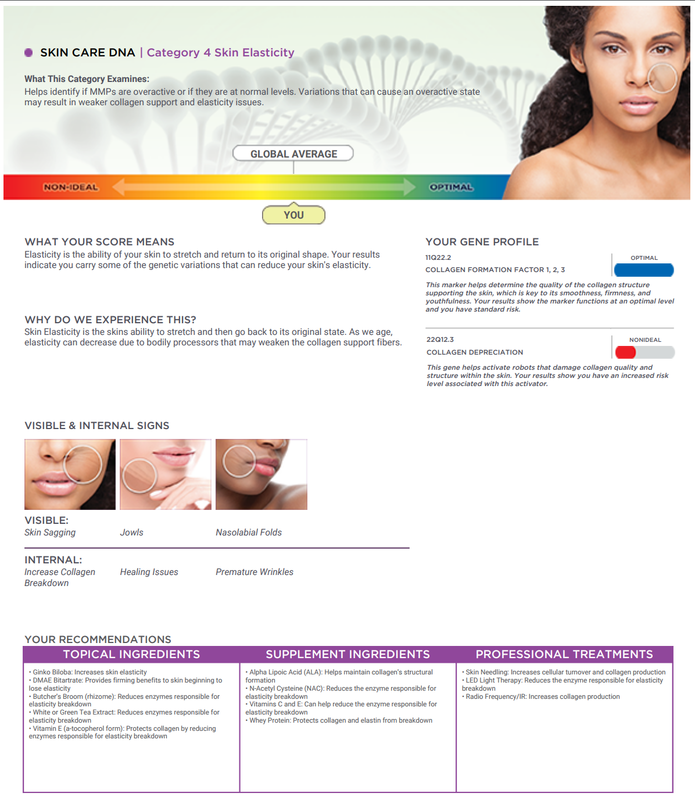 I Took The Home DNA Skin Care Test and My Results Are In! I've always hoped that I had good genes when it came to my skin. My parents (who are in their mid-to-upper 60's), definitely look years younger than their chronological age so I have a good start there, but at the same time I have very dry skin (which tends to age faster than average) and I have a major sweet tooth (and studies have shown that sugar can break down the collagen in your skin). 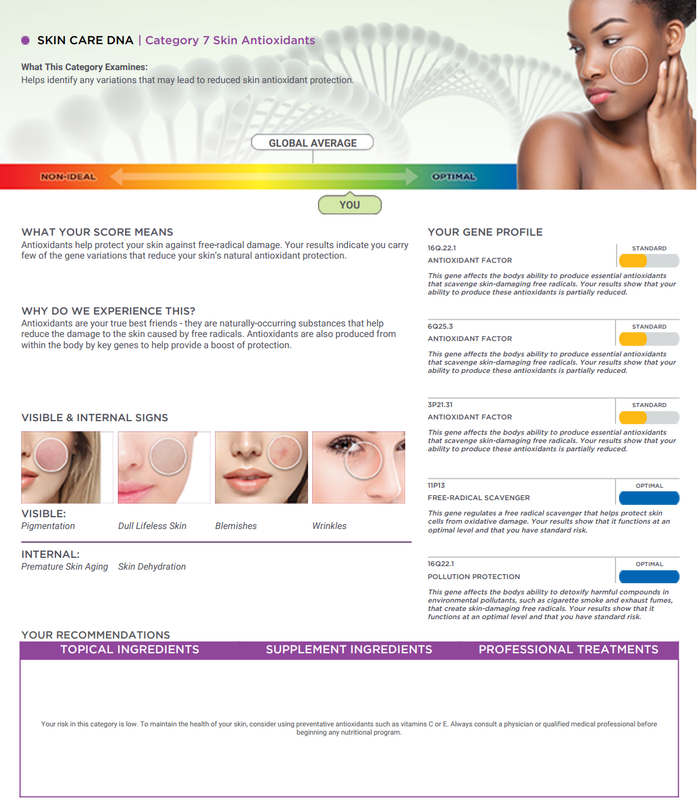 So when I was approached to try the new HomeDNA Skin Care Analysis + Report ($24.99 at CVS stores* plus a $79 lab fee (total $103.99) or $99 online at HomeDNA.com) I jumped at the chance to find the back story on my skin and how to best treat the signs of aging. 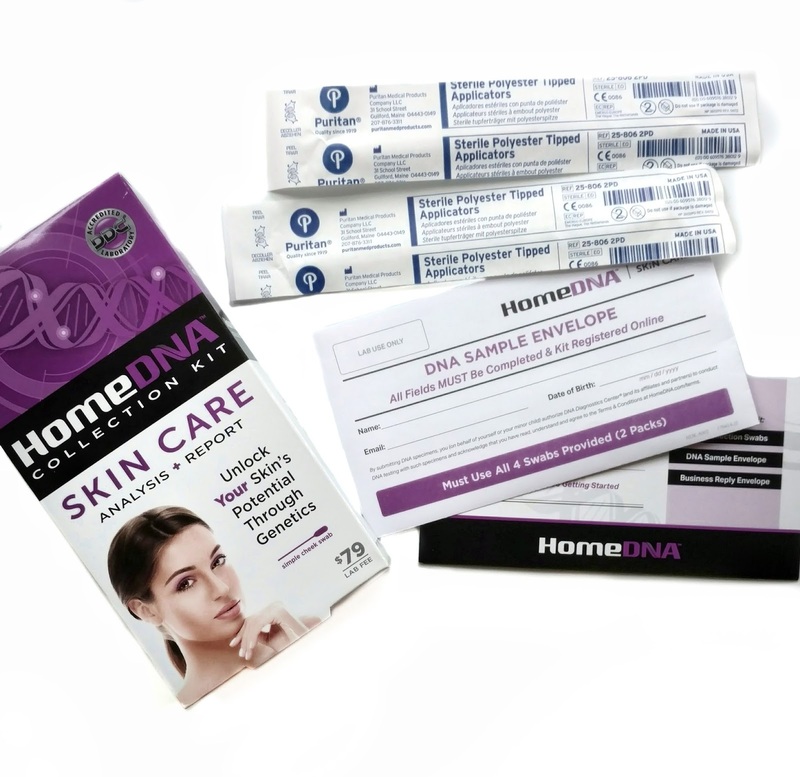 The kit comes with cheek swabs, instructions, and a postage-paid envelope to send them back to the lab. 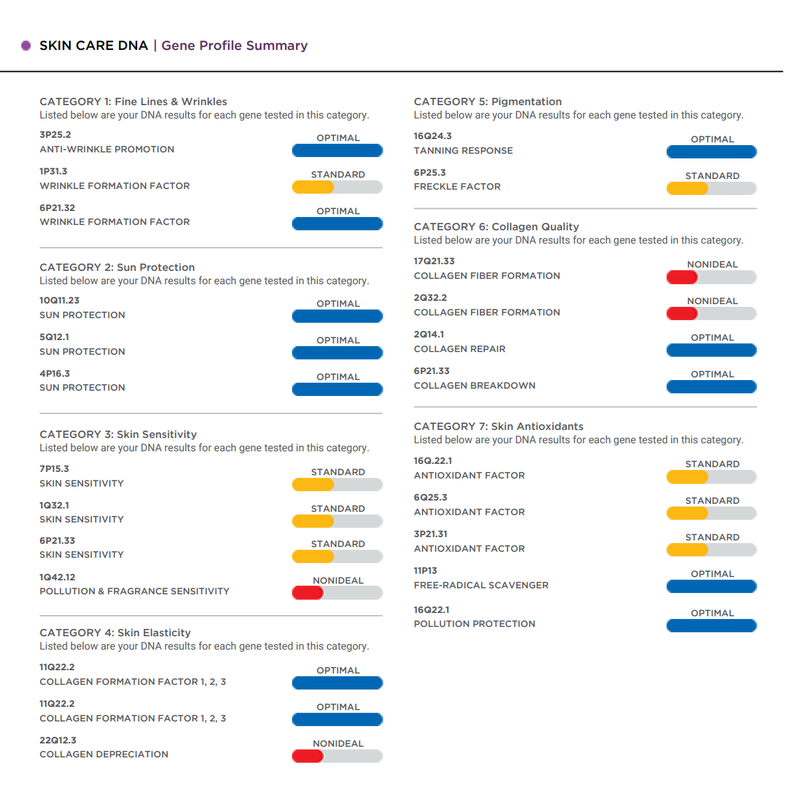 The results are ready and available to view online in about three weeks once the lab receives them back and mine just came in, so I wanted to share them with you. 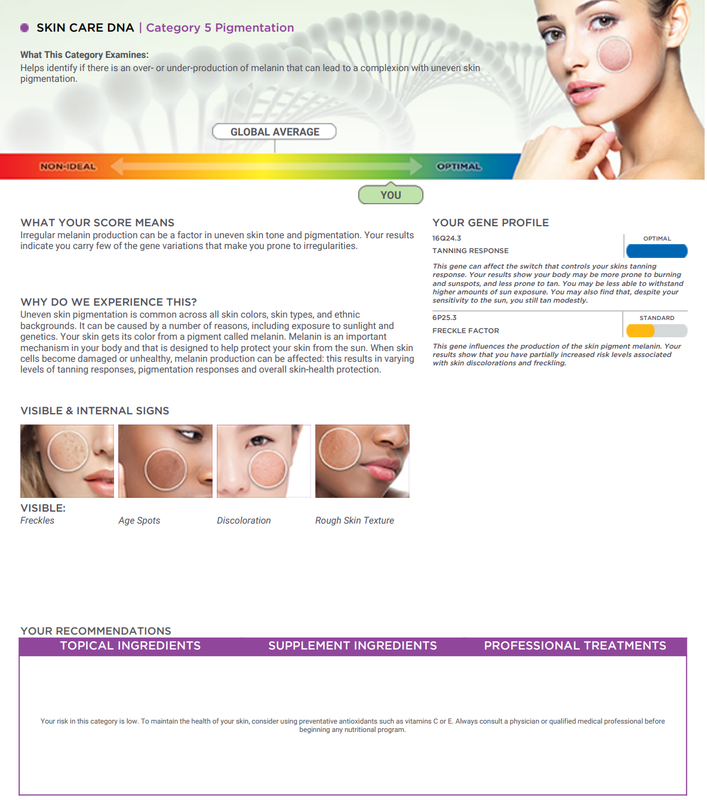 The first page of the report shows your overall results compared to most people (the Global Average), and I was happy to see that my skin is on the better-than-average side...yay! 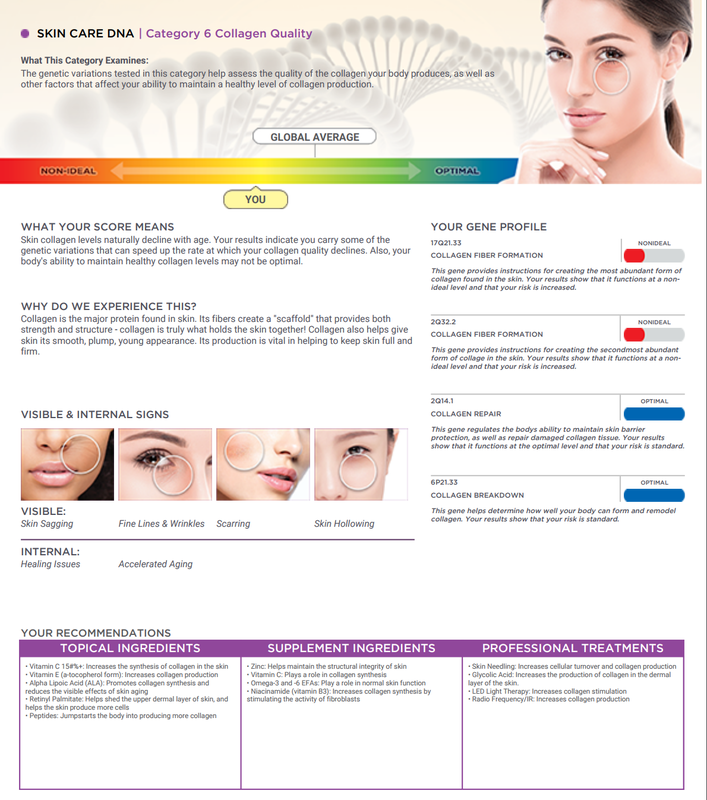 When it comes to fine lines and wrinkles, my risk is very low overall (yes!). The two genes that stop collegen fibers from hardening are functioning at an optimal level in my skin, which means the onset of fine lines and wrinkles may be delayed compared to the average person. However, my Wrinkle Formation Factor is a bit low. This is the gene that helps my body break down excess glucose (sugar) and we all know that extra glucose can stick to collagen and elastin causing them to become fragile and break. So this is just one more reason to limit my sugar intake! I'm pretty fair-skinned (my ancestry is Irish, English, Welsh, and German) and I tend to burn very easily. So I was surprised to learn that the three genes that help my skin adapt to sun exposure are functioning at an optimal level! This doesn't mean I shouldn't wear sun protection (because I'll burn right away) but it means that when my skin is exposed to UV rays, my skin will protect itself against the cellular damage that shows up years later as aging (fine lines, wrinkles). I still plan to wear sunscreen every day, but when I was younger I wasn't very good about wearing it so it feels good to know that those years of being careless may not have caused too much damage. I've always felt very lucky that I can use just about any skincare product and they never bother me or break me out. So I was very surprised to learn that when it comes to skin sensitivity, I'm actually pretty susceptible to heavily fragranced or highly active products. 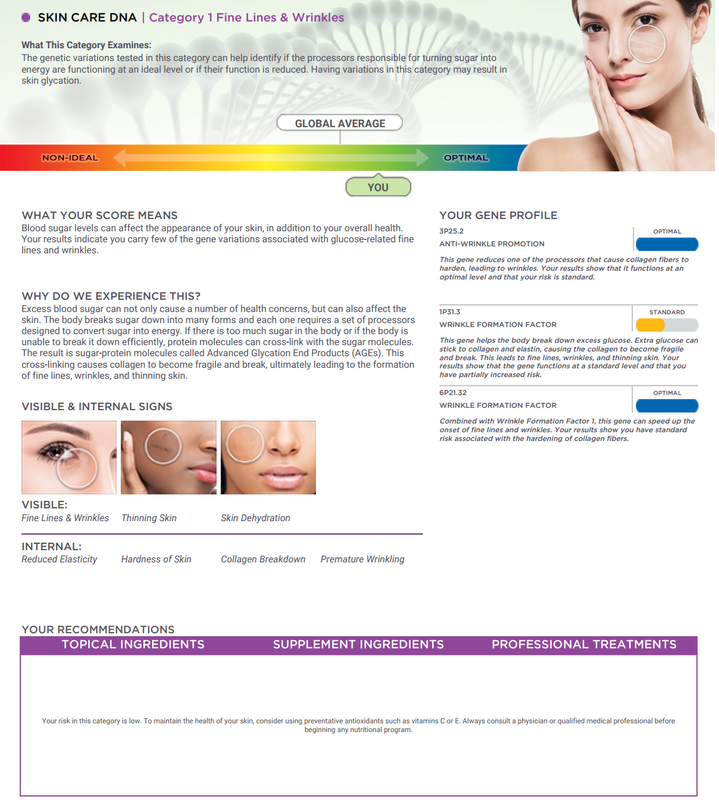 The results show that I may be prone to some degree of over-response such as rashes, rosacea and raised bumps. I haven't experienced too many rashes in my life, but a few years ago, I did have hives that popped up every day on my arms and chest that had no known cause and they stuck around for months before disappearing completely. Then last month, I was swatching eyeshadow on my arm like I always do, and I ended up with a raised bumpy rash a few hours after washing it off, which was really strange. So this may be something that will happen to me more as I get older, because when I was younger nothing bothered me at all. Definitely something to watch out for. The report offers some advice about topical products that may reduce inflammatory responses as well as supplements I can take and professional treatments. This category had some good news and some bad news for me. My Collagen Formation Factor is excellent, meaning that the quality of my collagen (which is key to keeping skin smooth, firm, and youthful) is optimal, however...my Collagen Depreciation gene is at a non-ideal level. This gene helps activate robots that damage my collagen quality and structure within my skin (sounds like a sci-fi movie!). So basically...my collagen quality is awesome but is continuously being attacked, so I guess they kind of cancel each other out, putting me at an average risk. Sun spots are something that I've been dealing with the past few years as I get older and I've always had freckles since I was a kid. 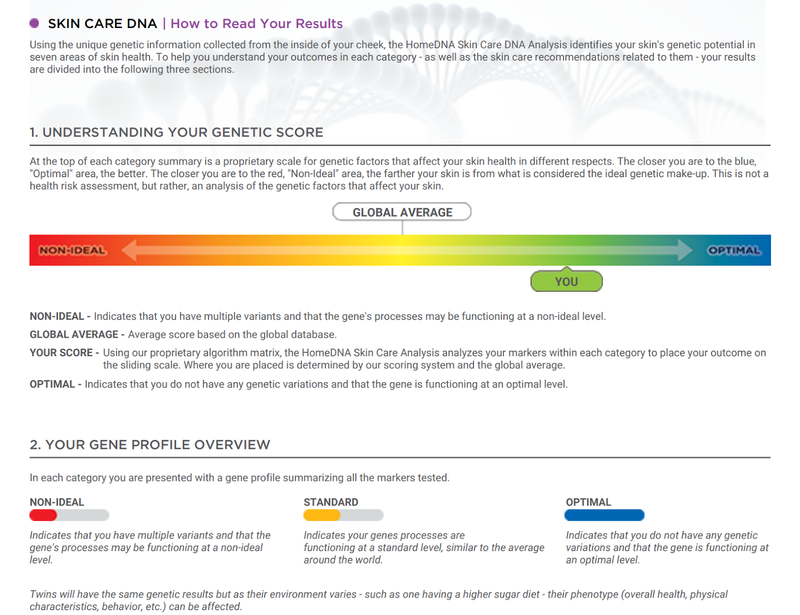 My results in this category show that I do have risk levels associated with discolorations and freckles. But even though I'm fair-skinned and burn easily, I still have the ability to tan modestly. This is spot-on because when I was younger, I remember my sister turning red in the sun and then depending on how bad her burn was, she would peel or just turn back to white a little while later. If I burned, it would almost always turn into a tan, and if I was careful about how much time I went out each day, I could actually develop a nice tan, so I'm not surprised by this result at all. More good news and bad news when it comes to my collagen. So, we saw above that the collagen my skin makes is high-quality, however these results show that the genes responsible for creating the most abundant form of collagen in the skin are functioning at a non-ideal level. So basically my skin isn't producing enough of it. This is another reason to bump up my Vitamin C & E intake (and using it topically as well). Also, peptides in skincare can jumpstart the body to produce more collagen, so that's another ingredient I should be using. The good news is, the gene that repairs damaged collagen and the one that helps my body form and remodel collagen are functioning at optimal levels. Antioxidants are so important for your skin and help to keep it looking young and healthy. In this category, the genes that affect my body's ability to produce antioxidants are functioning at an average level, so I have to make sure I'm taking in as many as possible. I was really happy to see that my Free Radical Scavenger and Pollution Protection genes are performing at optimal levels...this means that the antioxidants in my skin aren't under attack from free radicals, which can cause aging and breakdown of collagen. 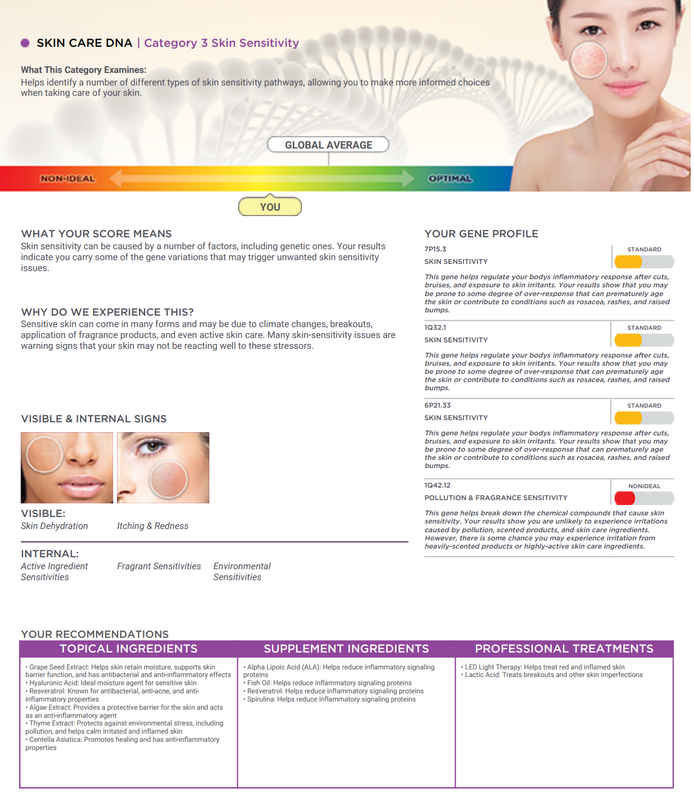 The last page of the report is a summary of your results in each category and makes it easy to see what your skin's strengths and weaknesses are at a glance. 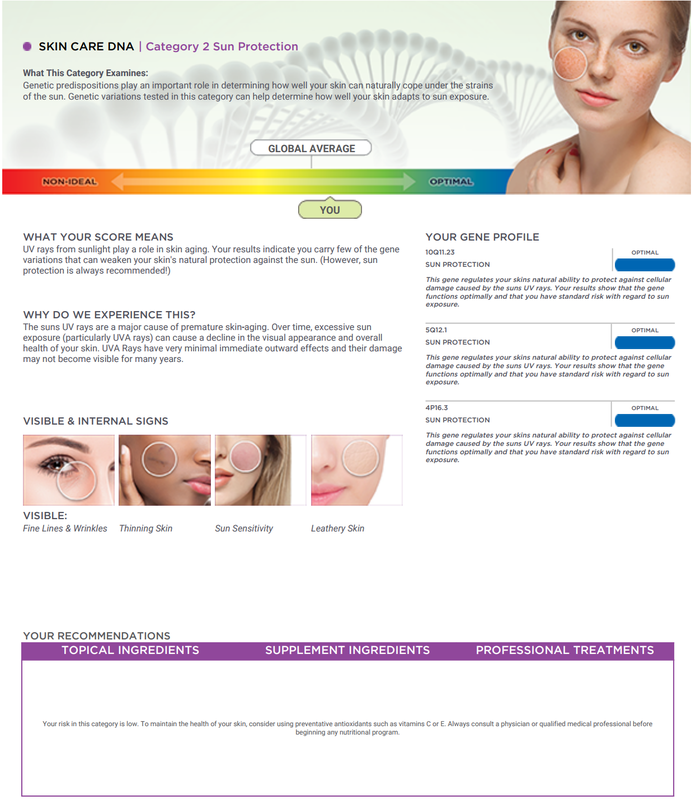 Overall, I'm so happy that I took the HomeDNA Skin Care Test! Not only is it fun to see the genetics behind my skin, but it's also really helpful in figuring out what I should be focusing on. It's nice to know that my skin isn't at too much of a risk for premature aging (thanks Mom and Dad! ), but now I know that I need to cut out more sugar, take in more antioxidants, and start using Vitamin C, E, and Peptides on the regular. I also need to watch out for heavily scented products, especially if I start to see more reactions in the future. What do you think about the test? Would you take one? *Available now in most states, and in September for California and Massachusetts. Due to state regulations, this test is not available in New York and Maryland. 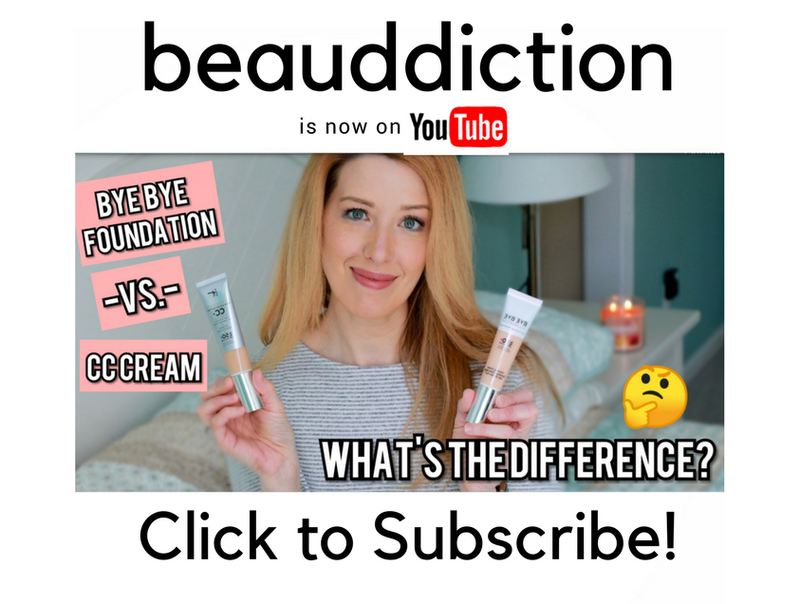 FTC: This post is not sponsored (paid advertisement). Products featured were sent to me complimentary but all thoughts and opinions are my own. Links are not affiliate links. I had so much fun reading this and I'm going to try it too! It's so interesting to see that there are other factors at work besides just using products and staying out of the sun. I need all the help I can get and knowing what's happening below the surface can help me narrow down the products I should be using. Going to CVS right now! So cool! But I'm in NY and it's not legal here, why??? :( I have an aunt that lives in NJ, maybe I can use her address! I really want to find a way to do this! Very interesting, but at the price probably not for me right now. I recently had my DNA analyzed through Ancestry.com and was fascinated with those results. I got the ethnicities I expected but not in the percentages I expected. I do love reading about DNA though! I was thinking I would order this off the website to save a few bucks but on second thought, they would have to ship me the kit first so buying it at CVS will save a little time. Going to get it tonight, I love stuff like this! This was very interesting. Thanks for sharing! It's so cool! I've never heard of this and I'm so happy that the test can be done from home. So convenient! I'm definitely trying it.